So, I may have an obsession with chocolate and peanut butter. Okay... I DO have an obsession. I swear I'm thinking about this combination of flavors every time I want to bake something. It's just soooo good. This week, I made Mini Peanut Butter OREO cupcakes. Chocolate cake loaded with crushed PB Oreo cookies topped with peanut butter buttercream loaded with even more crushed PB Oreo cookies! 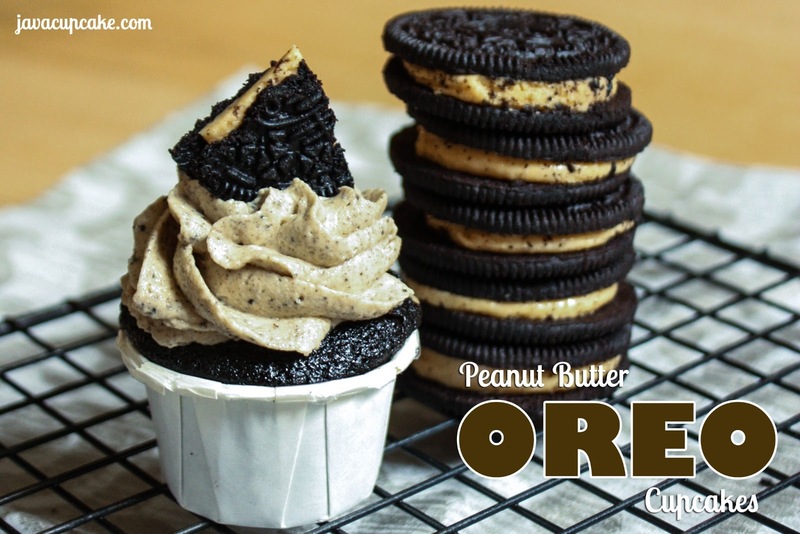 Oh... and it's all topped with more PB Oreo cookie! The full recipe can be found on JavaCupcake!